Today I am going to share the books that I received for review or books that I bought for personal/classroom library use. If you've read any of these books, please tell me what you think! This meme is hosted by The Story Siren. Happy reading! I received this one through Library Thing's Early Reviewer Program. Apparently it is being re-released April 29th and there are mixed reviews, but I'm excited to read it nonetheless. 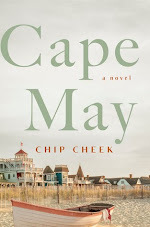 Goodreads says, "Here is Plum Coyle, on the threshold of adolescence, striving to be new. Her fourteenth birthday is approaching: her old life and her old body will fall away, and she will become graceful, powerful, at ease. The strength in the objects she stores in a briefcase under her bed - a crystal lamb, a yoyo, an antique watch, a penny - will make sure of it. Over the next couple of weeks, Plum's life will change. Her beautiful neighbour Maureen will begin to show her how she might fly. The older brothers she adores - the charismatic Justin, the enigmatic Cydar - will court catastrophe in worlds that she barely knows exist. And her friends - her worst enemies - will tease and test, smelling weakness. They will try to lead her on and take her down. 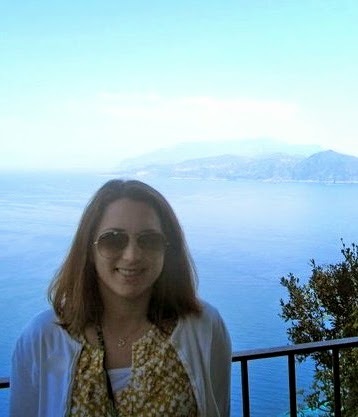 Who ever forgets what happens when you're fourteen? 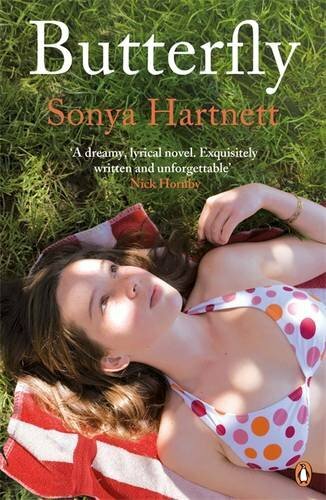 Butterfly is a gripping, disquieting, beautifully observed novel that confirms Hartnett as one of Australia's finest writers." I received this book through Book It Forward ARC Tours and I recently finished reading it. I can't say I really enjoyed this one though. My review will be posted shortly. Goodreads says, "High school is hard enough when you’re normal. There’s peer pressure, book reports, the in crowd and the enormous zit that has a life of its own. Having a family whose skeletons in the closet lean toward the paranormal is not a topper on anyone’s list. Sophomore Kasey Maxwell is busy juggling the typical teen angst. Add visions, ghosts and hairy four-legged monsters into the mix and you get FREAKSVILLE. It’s a wonder Kasey has survived. Every woman in the Maxwell family has the gift of sight. A talent sixteen-year-old Kasey would gladly give up. All she wants is a normal life. Shopping and talking about boys with her best friend and long-time sidekick Gillie Godshall consume her days. Until Kasey has a vision about Josh Johnstone, the foreign exchange student from England. The vision leads her into new waters, a lead in a play, a haunted theater…and into the arms of the Josh. Yet, both Kasey and Josh have secrets lurking in dark corners. Can Kasey’s new romance survive FREAKSVILLE?" I also received this book through Book It Forward ARC Tours. I'm currently reading this one and I'm really enjoying it. My review will probably be up next week. The story definitely has an interesting premise and it will hit stores May 27th. Goodreads says, "When poor Boston girl Stephanie is abandoned by her abusive mother and taken in by Annie’s Beverly Hills family, she feels anything but home. Her dark complexion and accent stick out like a sore thumb in the golden-hued world of blondes and extravagance. These are girls who seem to live life in fastforward, while Stephanie is stuck on pause. Yet when a new rival moves to town, threatening Annie’s queen-bee status, Stephanie finds herself taking sides in a battle she never even knew existed, and that feeling invisible is a wound that can only be healed by standing up for who she is. Brilliant newcomer Mary Hanlon Stone delivers a compulsively readable insider’s view of growing up in a world where money and privilege don’t always glitter." I received this book through the SLJ Webinar. I have read a ton of great reviews about this book and I am sure that not only I will enjoy it, but I think my students will, too! Plus, I love Victorian England! Goodreads says, "Introducing an exciting new series! Steeped in Victorian atmosphere and intrigue, this diverting mystery trails a feisty heroine as she takes on a precarious secret assignment. Rescued from the gallows in 1850s London, young orphan (and thief) Mary Quinn is surprised to be offered a singular education, instruction in fine manners — and an unusual vocation. 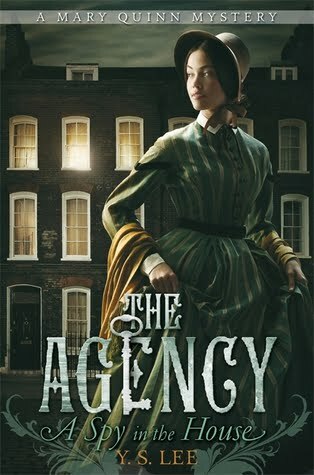 Miss Scrimshaw’s Academy for Girls is a cover for an all-female investigative unit called The Agency, and at seventeen, Mary is about to put her training to the test. Assuming the guise of a lady’s companion, she must infiltrate a rich merchant’s home in hopes of tracing his missing cargo ships. But the household is full of dangerous deceptions, and there is no one to trust — or is there? Packed with action and suspense, banter and romance, and evoking the gritty backstreets of Victorian London, this breezy mystery debuts a daring young detective who lives by her wits while uncovering secrets — including those of her own past." I bought this book mainly due to my fellow blogger, The Bookette, and her stellar review. After reading the synopsis, I realized that she is right. This book sounds amazing! Goodreads says, "A fresh, urban twist on the classic tale of star-crossed lovers. When Brittany Ellis walks into chemistry class on the first day of senior year, she has no clue that her carefully created “perfect” life is about to unravel before her eyes. She’s forced to be lab partners with Alex Fuentes, a gang member from the other side of town, and he is about to threaten everything she's worked so hard for—her flawless reputation, her relationship with her boyfriend, and the secret that her home life is anything but perfect. Alex is a bad boy and he knows it. So when he makes a bet with his friends to lure Brittany into his life, he thinks nothing of it. But soon Alex realizes Brittany is a real person with real problems, and suddenly the bet he made in arrogance turns into something much more. In a passionate story about looking beneath the surface, Simone Elkeles breaks through the stereotypes and barriers that threaten to keep Brittany and Alex apart." This book caught my eye while I was walking through the cutest bookstore, Killarney Bookshop, while visiting Ireland. I love the adorable cover and the premise! I know this book will remind me of the fun times I had on Spring Break in Ireland. Synopsis taken from O'Neill's website: "Growing up in the 1950s in Kilnagree, a small village in Co Clare, Rose Barry lives a quiet, predictable life. Working part-time in the local pub while helping her grandmother at home, Rose’s only ambition is to marry a decent local lad and stay close to her family in Kilnagree. In Offaly, Rose's pretty, precocious cousin Hannah Martin is hiding dark secrets. Dreaming of the day she can flee her vicious-tempered mother, Hannah finds a welcome escape with her cousins in Kilnagree where she is the life and soul of the party. Rose and her friends find that trouble is never far away when the blonde, vain Hannah is around, and they quickly discover that where she is concerned, no man is out of bounds. Lenora Bentley, whose daughter lives in Kilnagree, also finds peace and tranquility when she visits Co Clare. A wealthy widow, living in a large empty house in Dublin, Lenora is nursing a wound that refuses to heal. In trying to come to terms with her grief Lenora has closed herself off from a fulfilling social life - and the one man who could open the door to a very different future. As the story comes to its climax, we are waiting to find whether Rose will find happiness in Kilnagree or do her fortunes lie elsewhere? Will Hannah break free from her domineering mother and her own dangerous behaviour? And will Lenora ever be able to let her guard down to enjoy a full life again? All three women are searching for a new life – which means leaving the old familiar one behind. For Rose Barry the future may well mean leaving Clare." I haven't read any of these....but I have heard very nice things about them. Perfect Chemistry, still need to read that one. Enjoy!! Wow, Perfect Chemistry. I wish I would hurry up and buy one of Simone Elkeles books, they all look so wonderful. You got a great selection of books this week. A Spy in the House and Perfect Chemistry are on my TBR pile too. As a matter of fact, so is Freaksville. I hope you enjoy all of your new books. I'll look forward to your reviews. Happy reading! Ever since Becky's review of Perfect Chemistry, I've been dying to read it. I'm going to borrow it from the library asap. Butterfly and Invisible Girl look great, too! Enjoy your books Chris! Great books. Hopefully you like Butterfly! Happy reading! My mailbox is at The Crowded Leaf. Great selection of books this week! A Spy in the House is on my TBR list, I haven't heard of Butterfly but it sounds like it will be a good book. Hope you enjoy all of your books. I loved A Spy in the House and Perfect Chemistry. 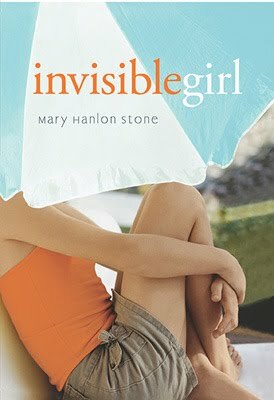 Invisible Girl also looks like a fantastic book even though the cover appears to be whitewashed. I look forward to your review of that one. Christina T- You are right! The cover is definitely whitewashed! I just noticed b/c the cover of the ARC I have, the girl definitely has olive skin, dark hair, etc. I hate when they whitewash it!